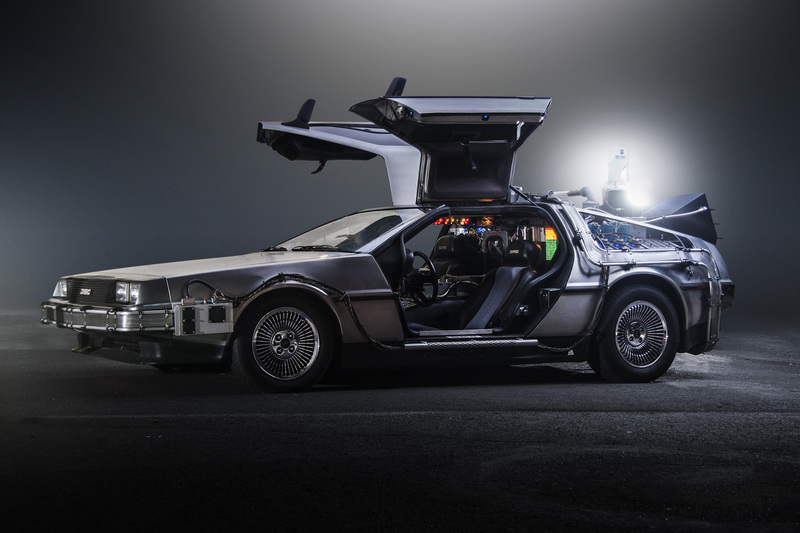 Back to the Future Day – Are we there yet? We’re descending toward Hill Valley, California, at 4:29 pm, on Wednesday, October 21st, 2015. The future has arrived – Doc Emmet Brown and Marty McFly exploded into our space-time in Back to the Future (BTTF) Part II, this very day. Released back in 1989, the film serves as a futurist time capsule of what we (or at least Hollywood) thought the year 2015 would be like. To mark the day, we thought it might be interesting to have a look at a few of the proposed technological advances captured by this iconic movie. And what we soon discovered was that while we may not be living quite as director Robert Zemeckis and writer Bob Gale envisaged, they were not far off the mark with many of the things they prophesised. The keyless locks were a feature that looked space age and somewhat Star Trek in their futuristic feel, but for us living in 2015 they don’t seem quite so alien. We use everything from biometrics to codes and even our Bluetooth-enabled smartphones to access our smart front door locks. We’ve even taken the smart home concept further with all sorts of in-house innovation such as voice activation for our devices and smart phone remote monitoring of things like our heating temperature. A Skype-like video chat program features at one point showing off not only the caller but also private details about them. What seemed a revolutionary concept back in 1989 is now something so commonplace we barely notice it. We can speak live to friends and family from all corners of the globe and even hold video conferences with just the press of a speed dial. What seemed a revolutionary concept back in 1989 is now something so commonplace we barely notice it. Marty had a bulky pair of sunglasses he could use to answer and talk on the phone, again something that might have seemed farfetched and futuristic to audiences of the time, but with computerised eyewear such as Google Glass becoming mainstream, it’s something we all have access to should we wish. We also see kids sitting around the dinner table wearing virtual reality goggles, presumably to watch TV. Virtual reality is a technology that’s currently experiencing a real boom in advancement, with Oculus VR, the virtual reality company that Facebook bought last year, releasing its first consumer headset early next year. In the movie Marty (and the cinemagoer) was amazed by the big screen slim line TVs, especially given 1989 was still a time of big bulky tube televisions. Nowadays, if you were to take a quick glance at the corners or walls of your average living room, chances are there will be some large flat or curved screen television and home entertainment system dominating it. And for us working in financial institutions the film captured a number of futuristic concepts which are now actual reality for us too. There’s a couple in particular that have revolutionised how we interact with customers and them with us. The character Biff’s payment of his taxi ride with a thumb-print isn’t totally dissimilar to how many of us now cashlessly pay for items or choose to financially transact, no longer is there the need to have cash on the hip. With new mobile technology and apps, consumers can now financially transact via their smart phone or tablet, even on the move. Online banking apps mean we can pay bills, check balances and transfer funds. We even have the ability now to top up a pension and ISA on the go and get an in depth view of their fund performance. In the movie we see Doc Brown clutching a hand-held computer that looks not too dissimilar to the tablets millions of us now use every day. With the development of tablet friendly online servicing, consumers can now take out a financial product, manage and follow its progress throughout its lifetime at a few clicks of a button, where and whenever they choose. No longer is there the pressure to phone, write or even be sat at your PC. While hover boards, hover cars, self-lacing shoes and pizza hydrators might still seem a little fanciful, who’s to say they are a pipe dream? I’m not saying Zemeckis should be ranked up there with Nostradamus, but what BTTF does show us is that we should never write off Hollywood’s interpretation of technological advancement, and nothing should ever be deemed too crazy.